Towards the latter end of the year, the rising tide of new laptops and notebook PCs can sometimes start to blur together. The reality is that pretty much every OEM out there is kinda playing with the same deck of cards. Their designs will differ in the details but, more-oft-than-not, they all run the same processors, RAM and storage configurations. And in the face of this norm, the HP Spectre Folio feels like a breath of fresh air. More than just a laptop with leather accents, the Spectre Folio is a 2-in-1 that’s partially made of leather and it makes the most of that unique material design to stand out among the crowd. It’s a striking first effort at making a different sort of portable PC - and I genuinely dig that about it, even if it ends up fumbling some of the finer details. 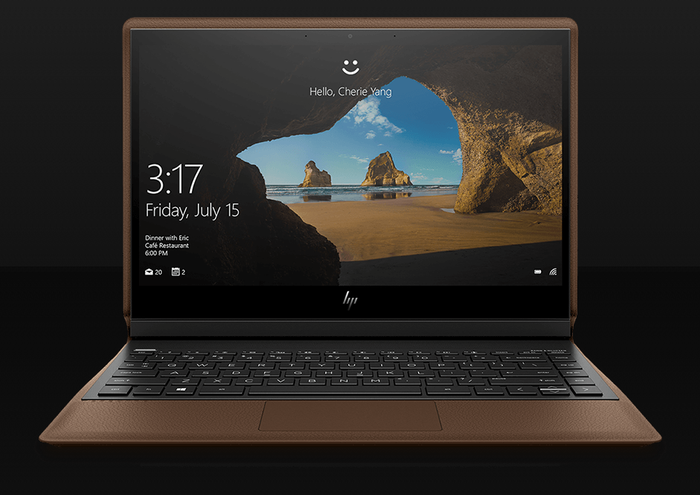 What are the specs of the HP Spectre Folio? What’s good about the HP Spectre Folio? Right up front and across the board, the HP Spectre Folio holds up as a super slick fusion of lifestyle piece and tech product. It is as compelling to look as it is to hold as it is to use. The quality of the leather involved is quite nice - or at least nice enough to not feel like a cheap gimmick - and the overall form-factor is quite slim - even if it could be slimmer. The biggest thing that’s kept me away from HP’s previous Spectre laptops is that while they look incredible, they look like the kind of things that I would drop or mishandle or scratch or mar within a matter of days. The leather wrapping of the Spectre Folio works well to alleviate this issue. Yes, over time, it’ll probably encounter some wear and tear - but rather than detract from the aesthetic of a leatherbound notebook, it actually kinda enhances and contributes to it. It's like something out of Her. 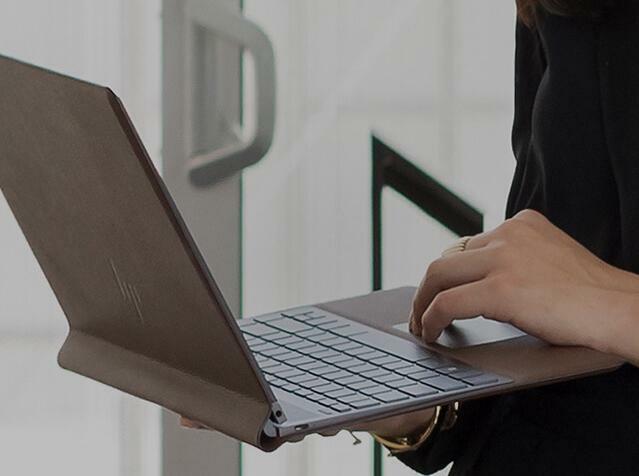 The HP Spectre is also the first 2-in-1 that I’ve felt really nailed things when it comes to offering a flexible form-factor while also feeling sturdy enough. When used as you would a traditional laptop, it feels just like a traditional laptop would. The 13.3-inch display makes for a splendid canvas upon which you can watch video content or web browse and the keyboard has a really punchy feel to it. There’s no tent mode here - not that it’ll all missed - but apply a little bit of pressure to the uppermost edge of the Spectre Folio and the screen will snap loose. From here, you can easily slide and slot it to use the device as either a flat-packed tablet or a slanted canvas. I personally prefer to just use it as I would a clamshell laptop, but it’s nice to know the option is there. What’s not so good about the HP Spectre Folio? Again, while the HP Spectre Folio is pretty thin and light by the by, it does feel a little padded out in a way that’s kinda undesirable. It’s thin compared to most other laptops of its class but it’s not hard to imagine how it could be a little thinner. The name and aesthetics of the thing are intended to evoke the idea that this laptop is more of a leather-bound folio notebook. However, the second you pick it up, the weight involved means you'll never truly mistake it for such. The other shortcomings here are largely technical. For one, the Spectre Folio is equipped with a paltry three USB Type-C ports and a single headphone jack. Your mileage with this setup may vary based on how USB Type-C friendly your work flow and device demands are. If you’re the kind of user who needs an SD slot or traditional USB ports, your only way forward here is to enter dongle-hell, which is an unfortunate. There's also no SD card slot, which always stings a little. The other issue is that, perhaps as an inevitable byproduct of its own compact design, the HP Spectre Folio doesn’t provide a huge amount of value when it comes to specs. It’s not underpowered - but it’s pretty middle-of-the-pack for something as pricey as it is. The performance isn’t bad by any stretch - but it does feel like it falls short of what you can get out of other laptops playing in that same $2500-$3000 price-bracket. Again, whether or not you can live with that is up to you. How does the HP Spectre Folio compare to the other options? When it came to benchmarks, the HP Spectre Folio held its own but didn’t leave the other options in the dust. Depending on your workflow demands, this may not be a massive issue for you but it does throw shade on the HP Spectre Folio’s higher RRP. The only product on the list below that competes with it on price is ASUS’ high-end flagship Zenbook Pro 15 - which outperformed it at almost every turn. At the end of the day, the problem is a predictable one. The HP Spectre Folio asks you to pay a premium for leatherbound looks. Up-front, performance is being treated as a secondary concern relative to aesthetics. This won’t be a deal-breaker for everyone but if it sounds like it will be for you - then it probably won't be and that’s totally fair. 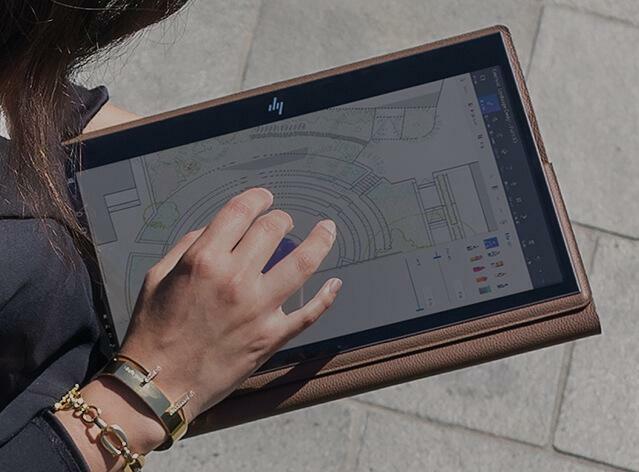 Some people are more about the journey than the final results, and the HP Spectre Folio is for them. It’s a tool that’s but sub-optimal (though not poorly suited) for any task given to it but it’ll look incredibly slick while it gets the job done. In terms of battery life, the HP Spectre Folio performed admirably. 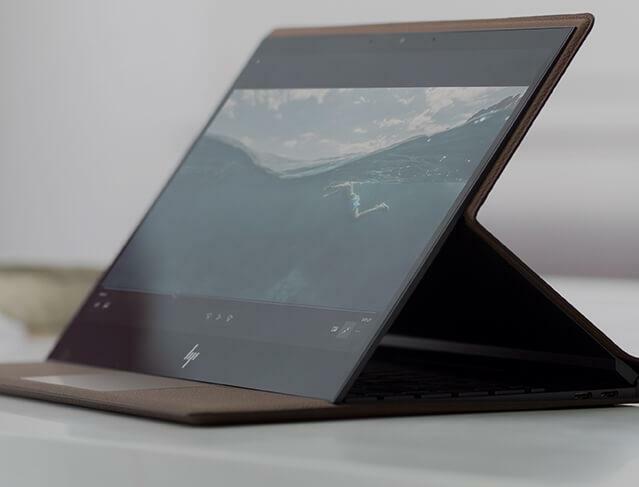 When subjected to the Battery Eater testing tool, which gauges the absolute minimum battery life of a given notebook PC, the HP Spectre Folio took 4 hours and 56 minutes to run down from one-hundred to zero. Obviously, your mileage is going to vary here - but we came away pretty impressed. The Bottom Line: Should You Buy The HP Spectre Folio? While I’d struggle to call the HP Spectre Folio a good value laptop, there’s an undeniable charm to its boutique approach. Part of this is just down to it being different. 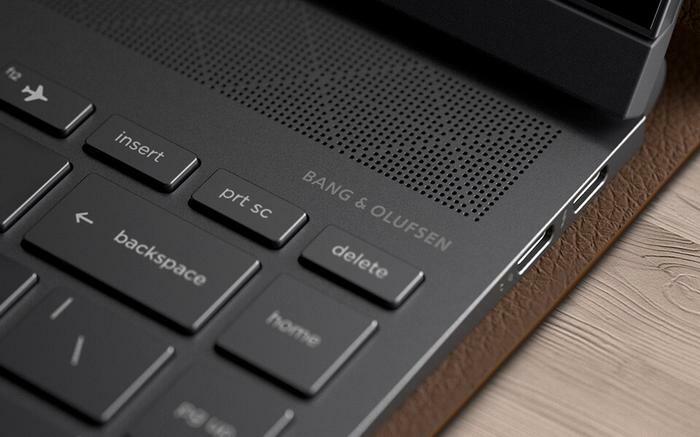 As I said at the start of this review, there’s so much overlap in specs and designs for most modern laptops that the HP Spectre Folio’s natural ability to stands out counts for a lot. 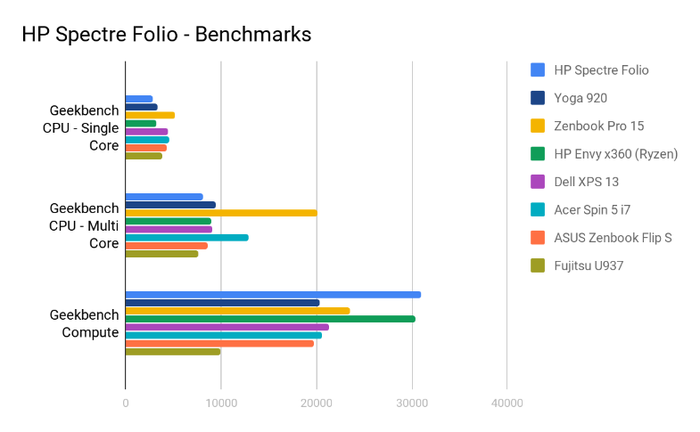 That said, the nature of the caveats involved here mean that while I’m inclined to recommend the Folio to those who can afford to live within its limitations, I’m personally more favorable to the idea of holding off and seeing where this product line goes in a year or two. If the Spectre Folio was just a little lighter, smaller or more powerful - I honestly wouldn’t hesitate to call it one of the best laptops you can buy right now. As it is, the HP Spectre Folio feels like it reflects a very different future to the one that most other OEMs are selling these days - and while that prophecy is a compelling one, it’s not one I’m ready to embrace or invest in right this second. The HP Spectre Folio a great idea married to (and marred by) execution that’s decent but unexceptional. It feels like greatness lies just around the corner for those willing to wait. Nevertheless, it's a good-enough option for the impatient in the meantime. A compelling prologue to the what could be next big chapter in how computers are designed and what they look like. The HP Spectre Folio sometimes feels like an appetizer for the main course - but there's nothing wrong with a good appetizer.